Our metal ceiling tiles start out as plain steel tiles. 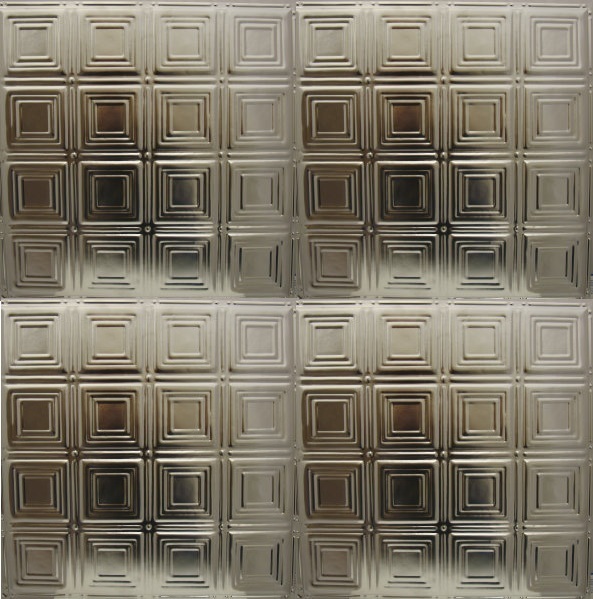 These steel ceiling tiles are then plated with authentic tin to create a durable and long-lasting finish. 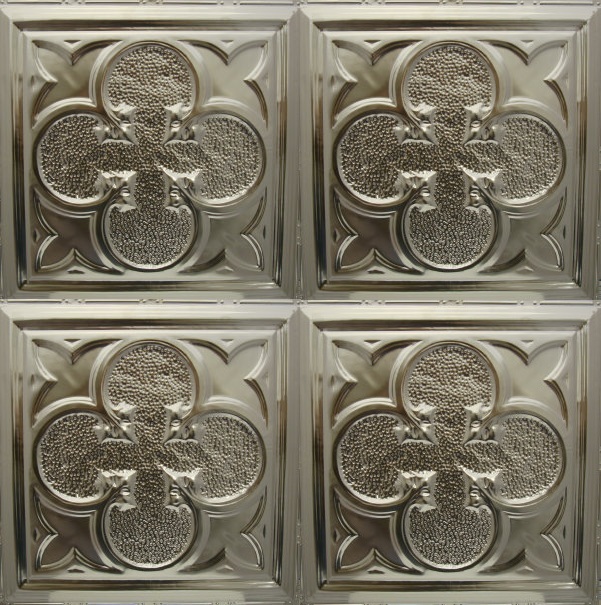 Once the plating process is completed, these tiles are then stamped (or embossed) using our high tonnage stamping press to replicate the look and feel of metal ceiling tiles that is reminiscent of the early 1900s. 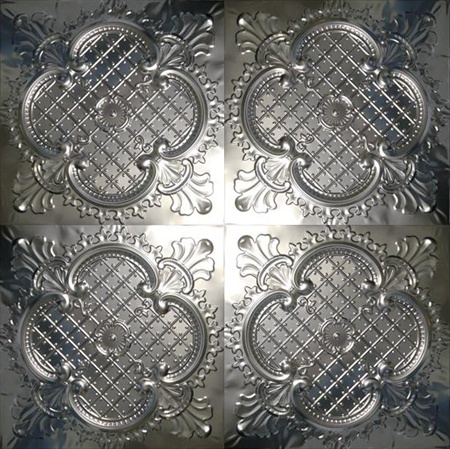 Our tin plated steel ceiling tiles are available finished and unfinished in about 30 different patterns and are also available in more than 80 different finishes and colors. Tiles are available in 24” by 24” sizes as well as 12” x 12” sizes. The larger tiles are ideal for use on steel ceilings and the smaller 12in x 12in tiles can be used in tight spaces and are ideal for use in backsplash applications in kitchens, bathrooms, bars or restaurants. Our 24in x 24in tin-plated steel ceiling tiles are available for installation in three different formats: nail up, drop-in and deep drop-in and they can also be had (in a limited selection) for our snap-grid system. The 12in x 12in tin-plated steel tiles are for nail-up installation only and are available in a limited number of patterns and hand finished colors. Here are some examples of embossed steel ceiling tiles. Check out our artisan series of steel tiles in hand finishes. Feel free to browse through our website, look at different patterns and colors that are available, and let us know if you have any questions or comments. Call us on 941-723-2288 with any questions or if you are ready to place an order.